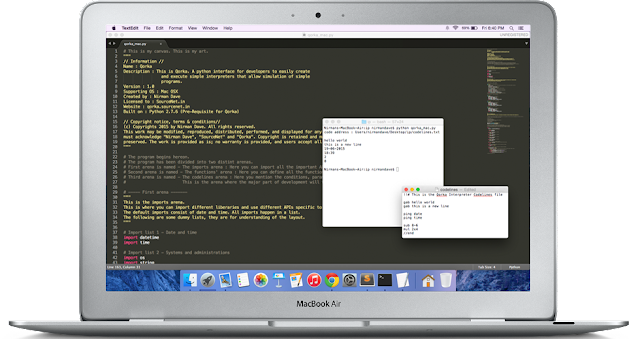 Qorka is an open source interpreter development platform which allows you to creatively put together your own programming interpreter with ease. 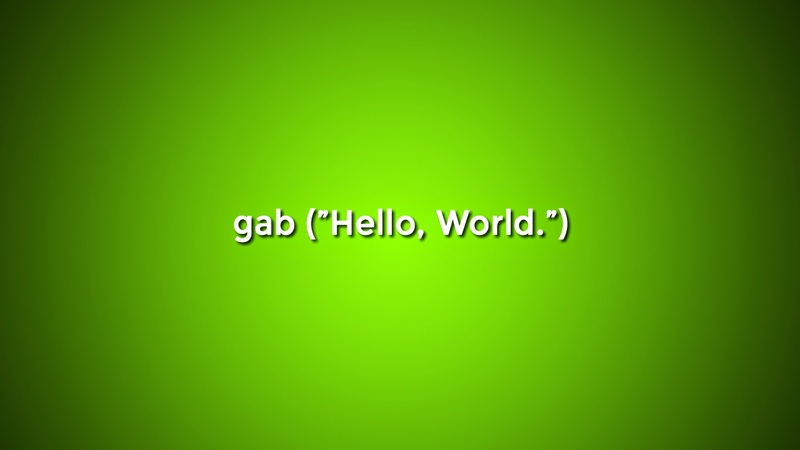 This means that you can create your own programming syntax, by defining each function on the Qorka platform. If this sounds confusing, checkout the GitHub page or quickly get started with Qorka. The all new Snick 2.0 (Beta) comes with amazingly new features that put you to ease. The Beta build features the new gab function, the new think module and the math modules have been updated to automatic version. 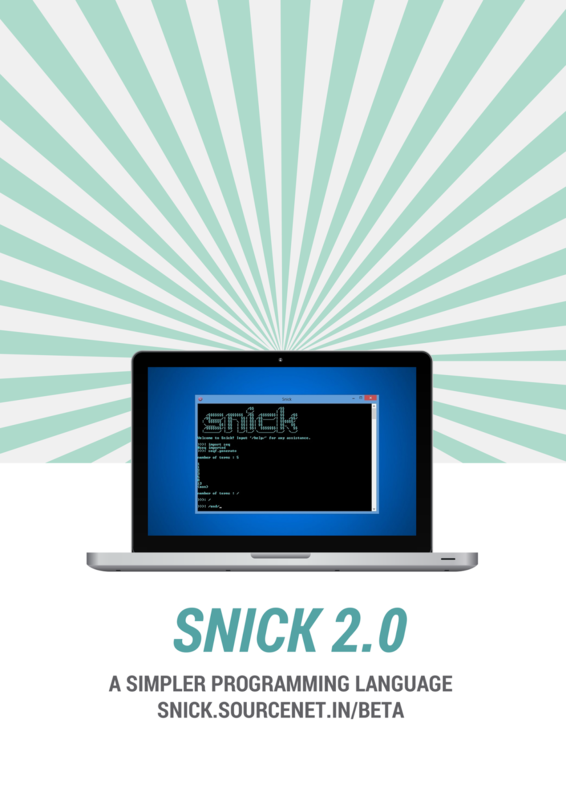 To learn more about Snick 2.0 features, please click here. 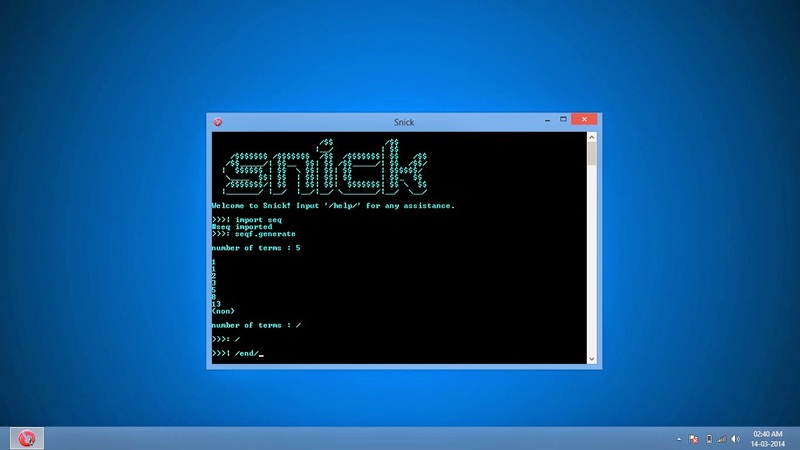 Have no clue about Snick? Click here to know more. 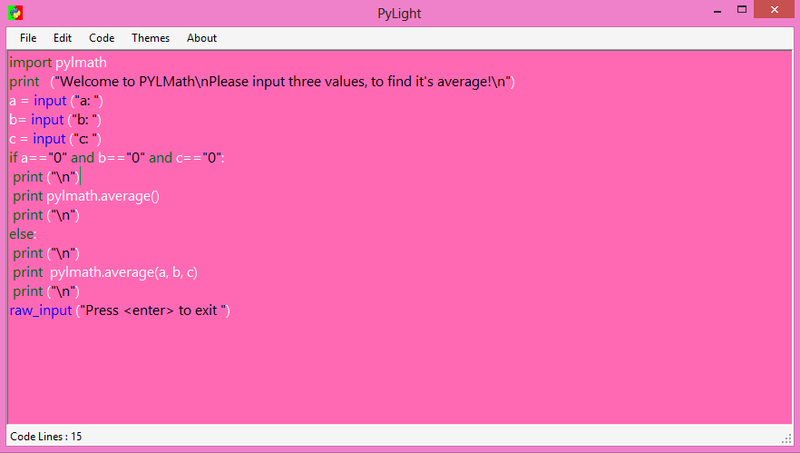 PyLight is a simple, neat and all rounder Python code editor. 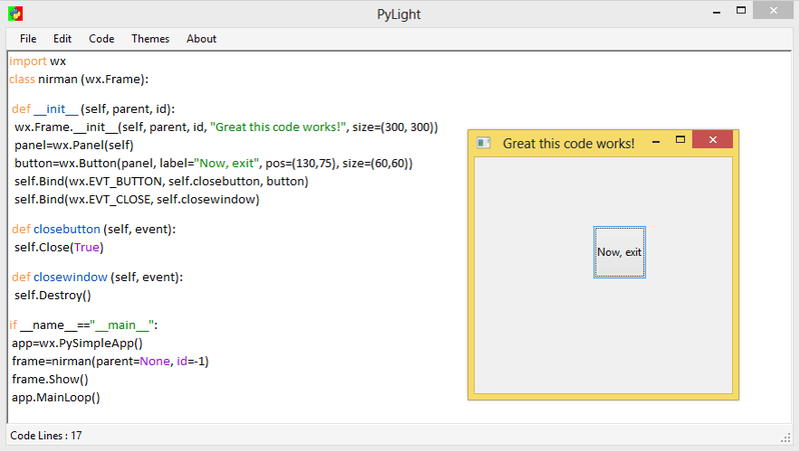 While other IDEs focus on features, PyLight is all about you and your Python codes! 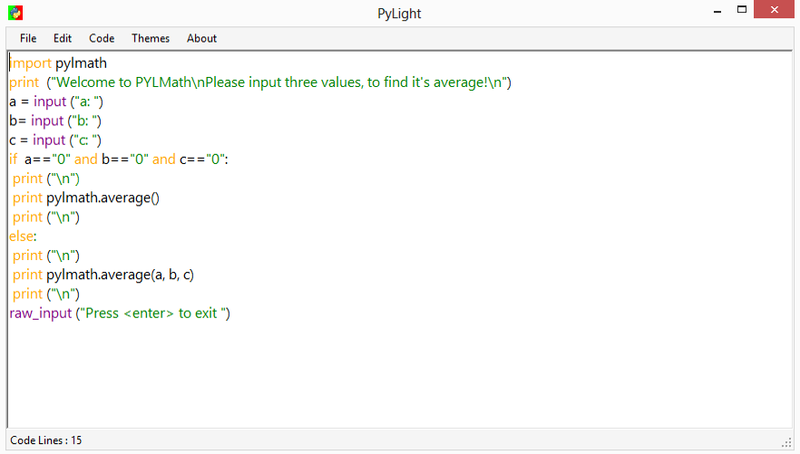 From great syntax highlighting to creating complex modules, PyLight has all the features that a developer needs but can't find in other Python IDEs! Additionally, PyLight builds a base for the beginners by allowing them to access simple inbuilt codes and also search for any doubts that they have using the 'Search for help' function. 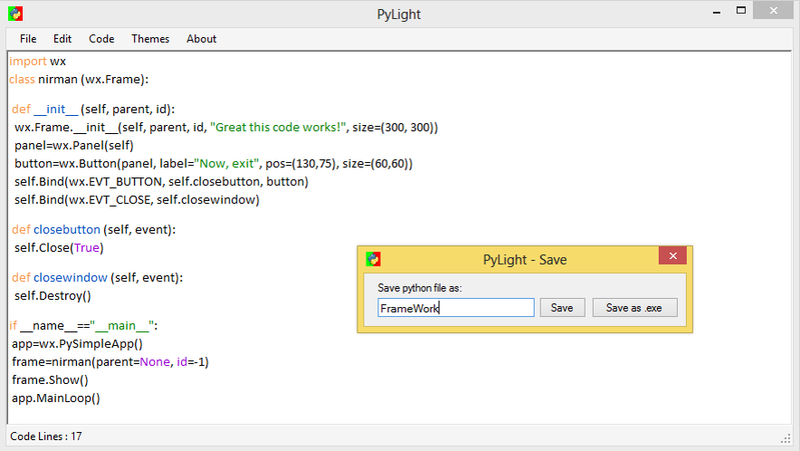 And as a cherry on the top, with PyLight you can save a Python file as .exe in just one click! 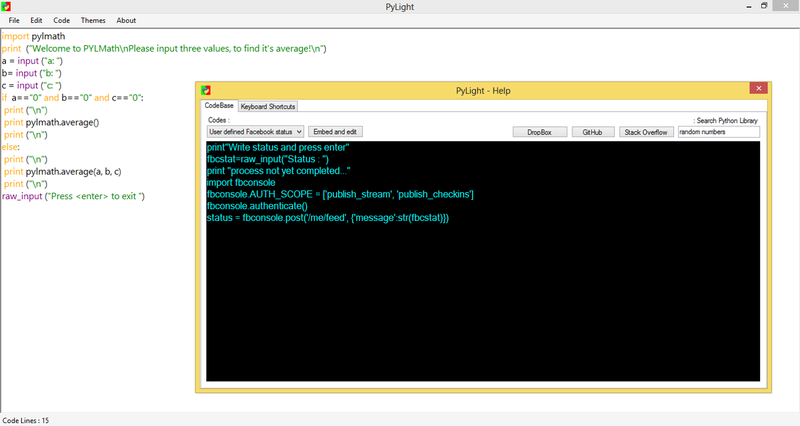 When you open PyLight you would need to specify the installation file path of Python. Once that is done, you can use the software freely. After installation press F1 for any help. During the installation please read the terms & conditions carefully and don't skip the 'important notice'. 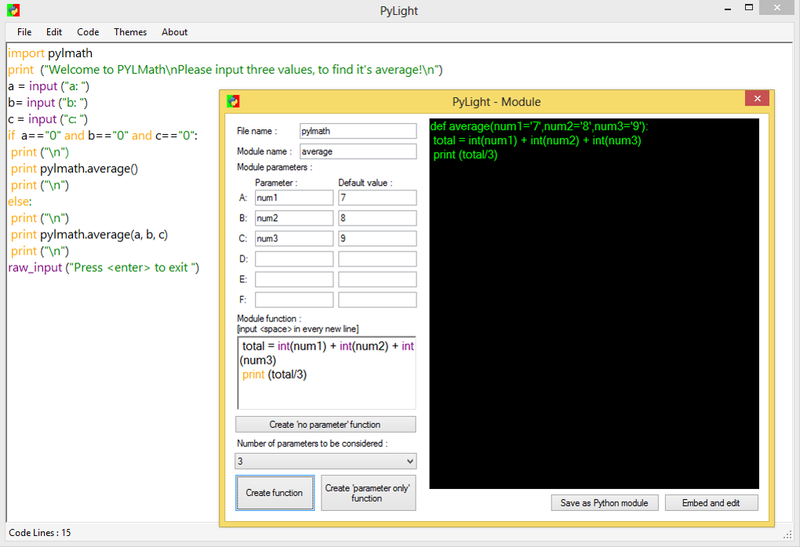 "PyLight can prove to be a handy solution for all Python enthusiasts who are looking for an intuitive solution for editing their code lines." 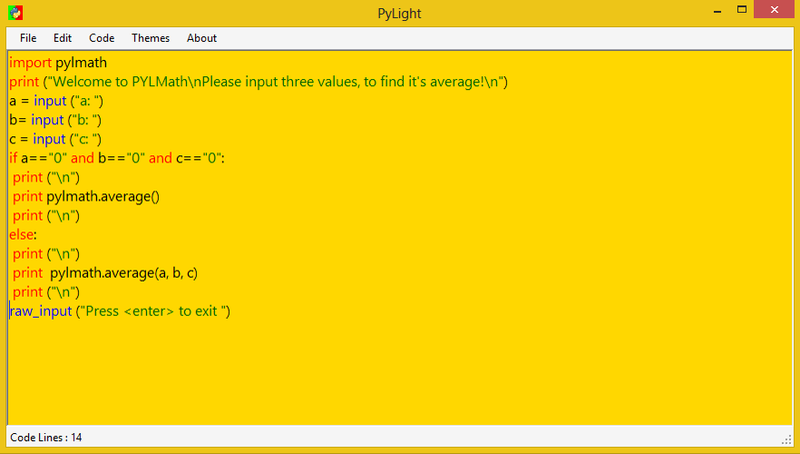 "Truly a simple, neat and all rounder Python code editor"
PyLight by Nirman Dave is licensed under a Creative Commons Attribution-NonCommercial 4.0 International License. Based on a work at http://www.sourcenet.in/2014/05/pylight.html. Permissions beyond the scope of this license may be available at https://github.com/OpenSourceNet/PyLight. Don't have time to read long news articles? Here is NewsBottle! A simple windows phone app that displays summaries of long news articles from different web portals. Also giving you the option to read the unabridged version of the article. 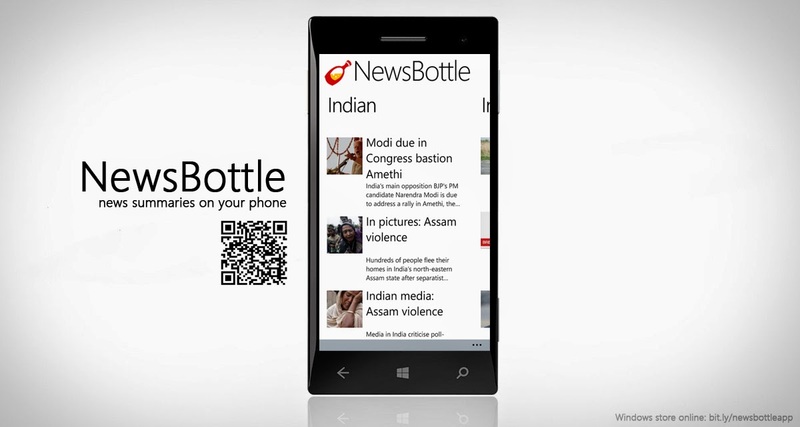 NewsBottle Windows Phone App by Nirman Dave is licensed under a Creative Commons Attribution-NonCommercial-NoDerivatives 4.0 International License. Permissions beyond the scope of this license may be available at http://www.sourcenet.in/2014/05/newsbottle.html. 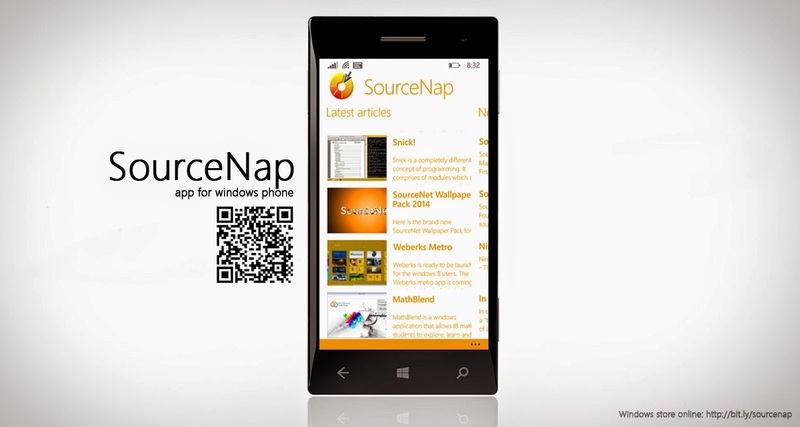 SourceNet app (named SourceNap) for Windows Phone 8.1 and Windows Phone 8.0 is here. This app allows you to read all SourceNet articles on the go and obtain any other information that you need. Now available on Windows Phone Store.